Canada’s entry to the 12th international Architecture Exhibition, la Biennale di Venezia, offers a vision for a new generation of responsive architecture. The collaborative work conceived by Philip Beesley is an immersive, interactive architectural installation fitted with arrays of sensors and kinetic devices. 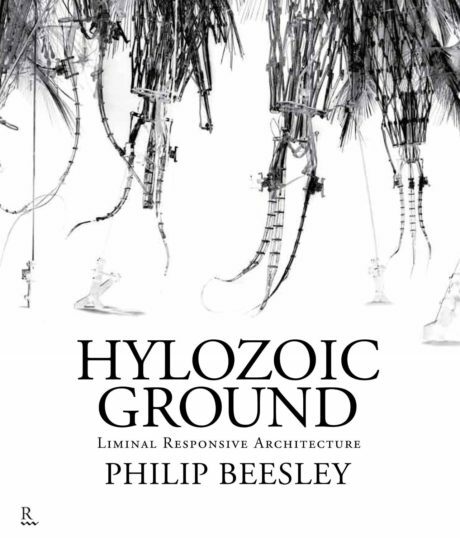 Lightweight interlinking systems are interwoven with next-generation chemistry that supports exchanges within the environment, in pursuit of an environment that ‘cares.’ The book contains essays by theorists and designers, extended photography, and detailed design documents of the evolving project. Contributions by Michelle Addington, Rachel Armstrong, William Elsworthy, Rob Gorbet, Eric Haldenby, Jonah Humphrey, Christian Joakim, Geoff Manaugh, Detlef Mertins, Neil Spiller, and Cary Wolfe.